Weekday evenings around here usually consist of dinner, maybe a walk if it's nice outside, baths and putting the kids to bed. Thrilling stuff, right? So, last month when I was invited to host a Girls Night In party at my house and not only have two great friends over to hang out and chat with but also create amazing personalized photo products, how could I pass that up? And when the big night arrived, we had a great time. Amidst all of the talking (both online and offline) and the tasty desserts that my friend had brought over, we were each able to come away with having made something unique and special. Which is exactly what Inspired Gifts is all about. 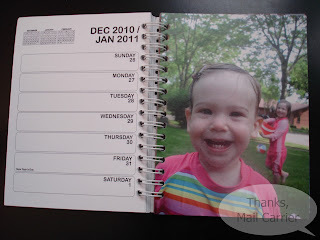 Now, I've seen photo products before and have given them as gifts multiple times in the past. However, Inspired Gifts is different in quite a few important ways. First, it is run completely by the people who know precisely what you're looking for when it comes to preserving and sharing beautiful memories: moms. This isn't a large, nameless corporation, Inspired Gifts truly cares about each of their customers and is even available for free design help if you would like it while creating your perfect gift. Second, Inspired Gifts gives back. The moms behind the company not only want to provide you with amazing photo products, but they want to make a difference in the world. 5% of their profits are donated to the World Food Programme, the largest humanitarian organization out there that works to fight global hunger. A wonderful gift for someone you love while supporting such a great cause? Now that's a combination anyone can appreciate. Finally, Inspired Gifts is eco-friendly. From the paper that is composed partially of recycled material to the non-toxic dry inks that produce virtually no emissions to the print-on-demand technology to avoid excess waste or consumption of natural resources... you can rest assured that Inspired Gifts is doing all they can to help the earth. What more can you ask for? Well, how about the coolest finished products around? 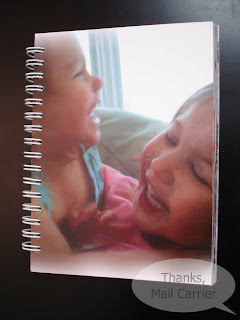 Creating a Day Planner on Inspired Gifts was so much fun for me - and, considering I got to go through and select all of my most-loved pictures of my two favorite girls, that wasn't a surprise. 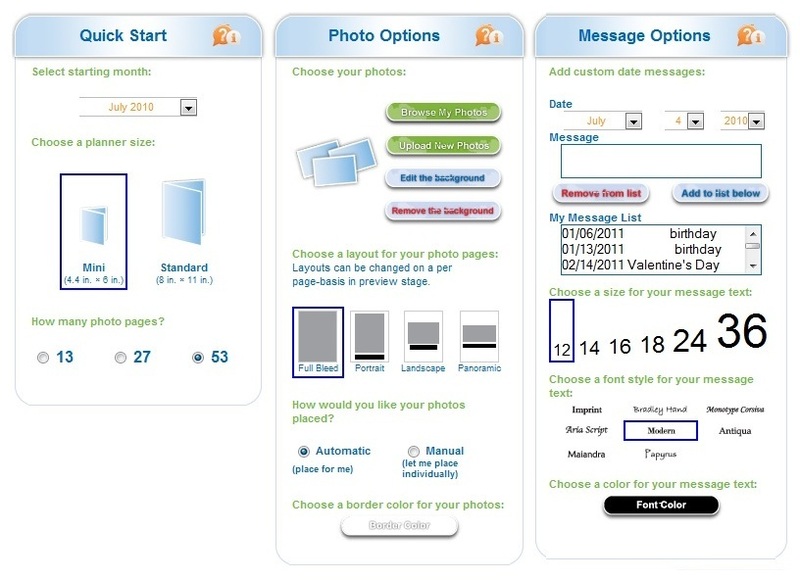 After selecting the starting month, you can choose the font, size, any included text on particular dates and more. 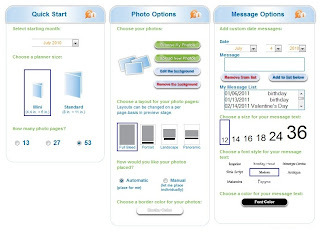 With the opportunity to have the pictures automatically placed or done manually, you are ensured that you can spend as little or as much time as you would like on the details of this planner. I did find that even when I selected to drop in the pictures manually, they were still automatically inserted. But fortunately I wasn't particular about the order that they be placed in, so with a few rearrangements, it was ready to go. I really appreciated being able to preview everything before submitting my planner and then all I had to do was wait for it to arrive. This is definitely not something I could have gone out to buy in the store and I love seeing the various adorable pictures of my daughters show up on each page. 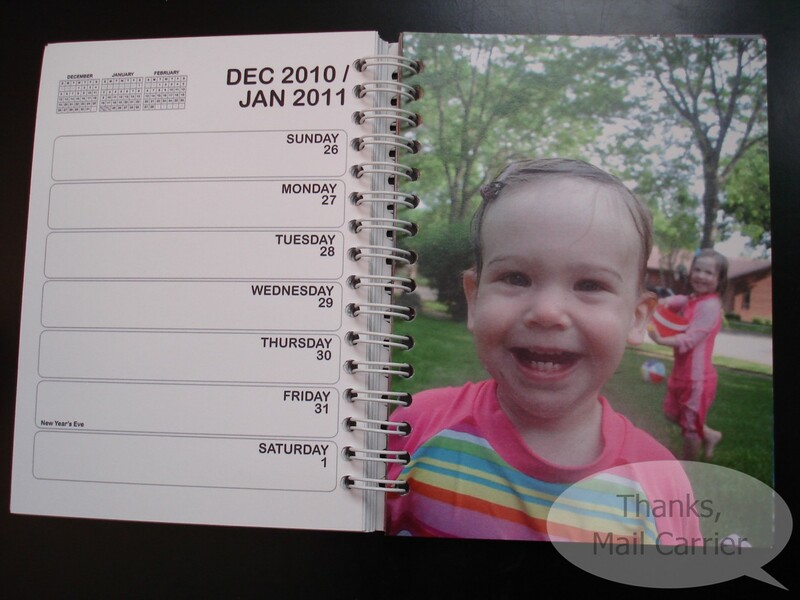 The paper is high quality, the binding is strong and easy to turn and the colors are vivid and bright. I love pulling this out and trying to stay organized! With all of the options available for customization (you could include more than just pictures, how about your child's artwork? Or cute cards or love notes?) this planner would work for just about anyone. What a great way to brighten someone's day (or your own) with a gift that will make them smile each and every time they open it!